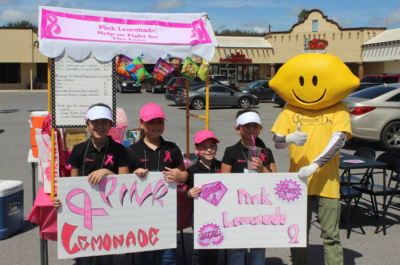 Lemonade Day McAllen is currently seeking business locations to host youth-run lemonade stands May 4. Businesses must have a location within the City of McAllen. They must also be open during the community event hours of 10 a.m. – 4 p.m., providing restrooms to participants. The ability to host two or more stands is also a must. The young entrepreneurs will take care of the rest, including setting up their stand and promoting their lemonade. Another way for local businesses to participate is to provide a gift which will be awarded as a prize to the “Entrepreneur of the Year” and the “Best Stand Contest” winners. Lemonade Day is a free, fun, experiential learning program. Throughout the process, youth learn how to start, own and operate their own business. The initiative empowers youth to take ownership of their lives while becoming productive citizens. Registration for Lemonade Day McAllen businesses is available online as well as contacting Michelle Rodriguez at 956-682-2871.